@nicolerichie what is your favorite vintage store in LA? @nicolerichie have you ever been to Melboune? I was there 2 years ago, & i loved it! @nicolerichie will house or harlow expand to a clothing line bc i would love to wear something you designed. you have AMAZING style! actually, yes. There will be a very exciting announcement this week. @nicolerichie will u teach ur kids abt their african history? yes I will 100 percent. @nicolerichie what's the most annoying thing @joelmadden does? The list is too long my friend. @nicolerichie would you ever consider going vegan? I don't have the discipline. 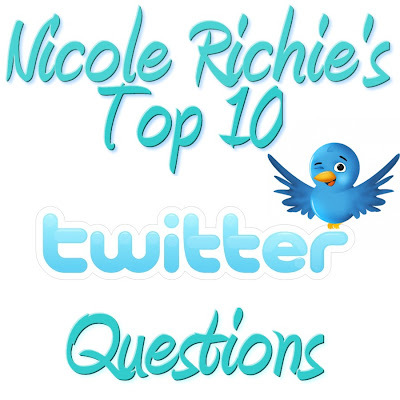 @nicolerichie what is your biggest pet peave ? @nicolerichie what was your favorite hobbie growin up? @nicolerichie is it true that you used to play the violin? Yes i did. I still do. I am sooo looking forward to Nicole Richie exciting announcement this week about her fashion line, woohoo! ice skating and violin? How can anyone say that nicole richie is not talented, she is so talented!